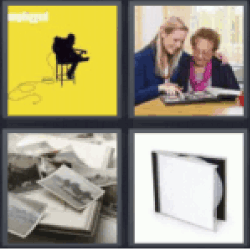 4 Pics 1 Word Cheat. Music album cover. Women looking at photos. Photo album. CD case.